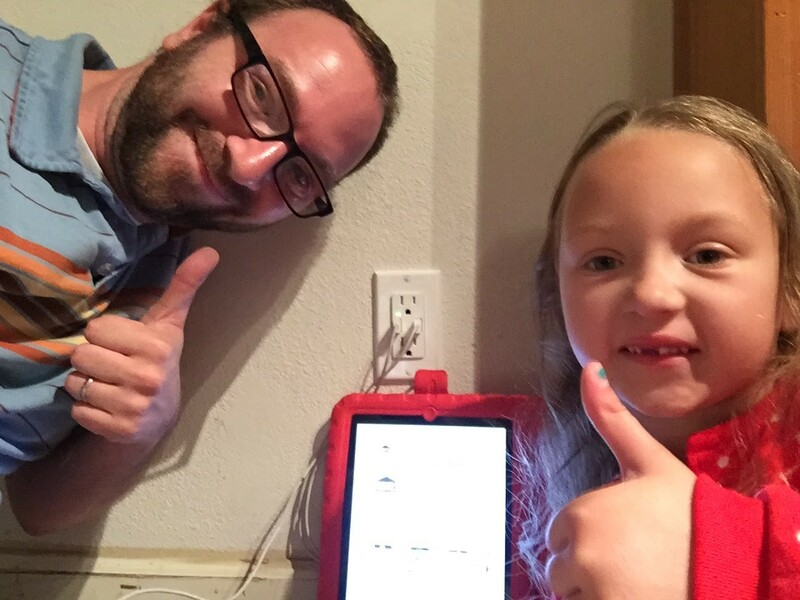 One thing I hear all of the time from my family and kids is that I often forget to charge their tablets. My best excuse it that I have no idea where the chargers are or that I can’t find the big brick blocks that are required to charge these things. Fact is, it’s just a USB cable connected to some power. You can now upgrade your home outlets to include a USB port so you can charge your devices. Isn’t the future great? For this Mother’s Day, the kids and I are doing a little home upgrades. Mommy will be so proud. Now, I am a pretty technical person but when it comes to electricity, I can get a little freaked out. I need to be sure I am doing everything right so I don’t hurt myself, or someone else. That’s where this awesome app called DIYZ comes in. I downloaded the app to my phone and got right to it. It is a very easy to use app with a plethora of projects to look through for every DIY skill level. Each project includes step-by-step instructions and even the option to live video-chat with a professional contractor if you need it. The Pro Advisors are available Monday through Friday from 6:00 PM – 1:00 AM ET and on weekends from 8:00 AM – 1:00 AM ET. Check it out and #GetWise! The DIYZ® app is free to download and is available in the Apple App Store for iPhone and Google Play for Android. For a limited time, the video-chat feature is also FREE! I easily found the project I needed and started going through it step-by-step. First, I needed to make sure I had all the tools needed, and within each project on the DIYZ® app you can easily browse a list of tools for each project with the option to purchase directly in the app via Amazon, if you don’t already have them. Doesn’t get much easier than that. I thought this project was going to be easy as I already had all the tools that were listed, so I was ready to get started right away. But first I figured I would get the kids involved in this as well. It is good for them to get experience with tools and get some hands on #DIYZ experience. 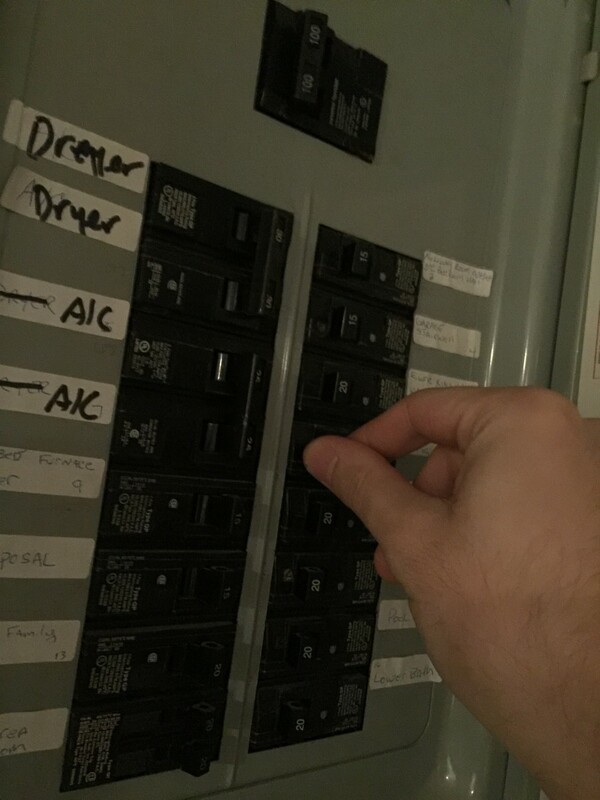 So the first thing you always need to do when working with any sort of electricity is to turn off the breaker. Always be sure to double check that the flow of electricity has been cut with a none contact voltage tester, just to be sure no current is still going through. 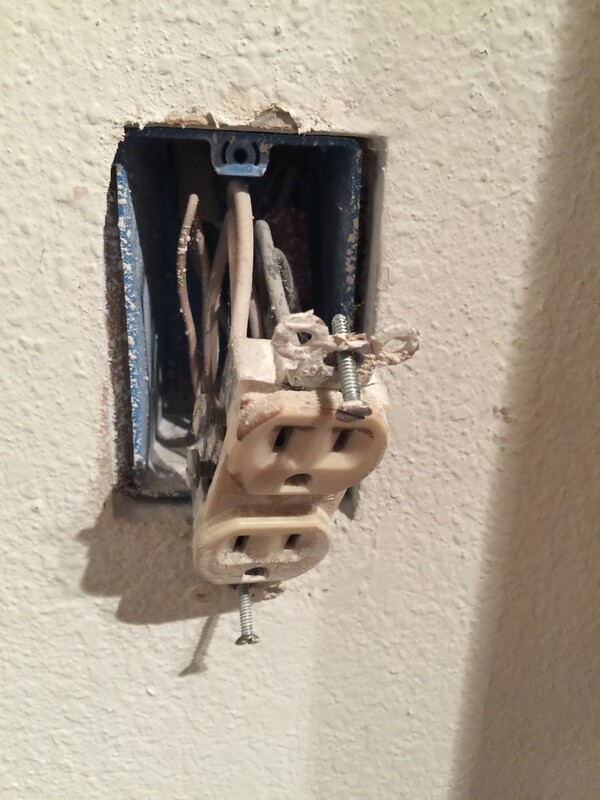 With all tools in hand and the electricity turned off, we were ready to start the removal of the old outlets. I picked up a couple outlets so we have some options on where we plug in our devices. We decided to start in the kitchen. 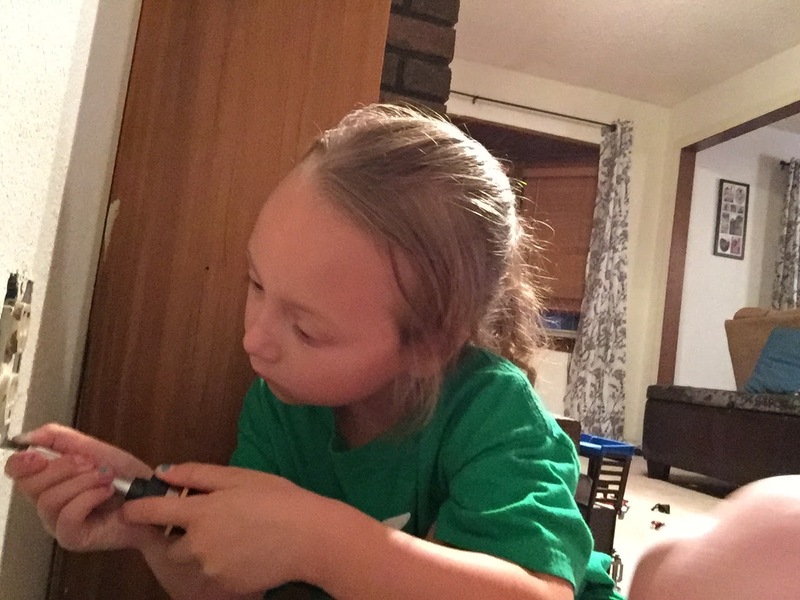 The kids removed the screws from the outlet covers first and then they unscrewed the outlets themselves. I did all of the wiring. It was fun working with them on this little project using the DIYZ® app. 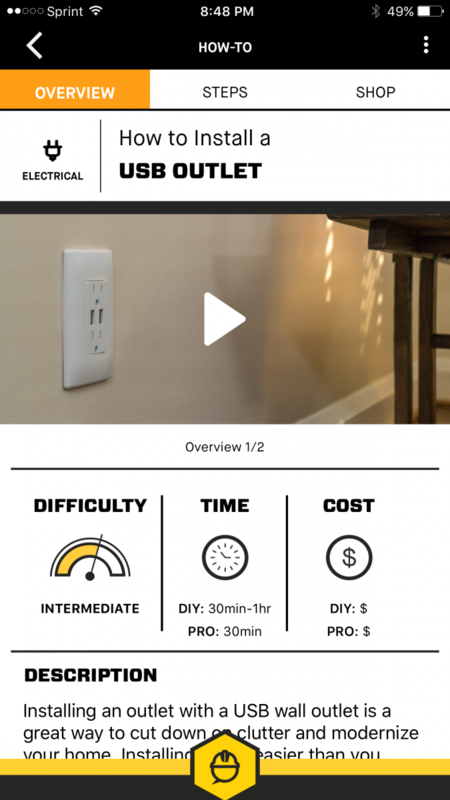 The app really helps make the job a lot simpler and set my nerves at ease when working with something like electricity. There also wasn’t a big mess, and now Mom will be super happy being able to charge her devices just about anywhere in our home. The new outlets were unveiled on Mother’s Day and my wife was so proud of her kids’ hard work. 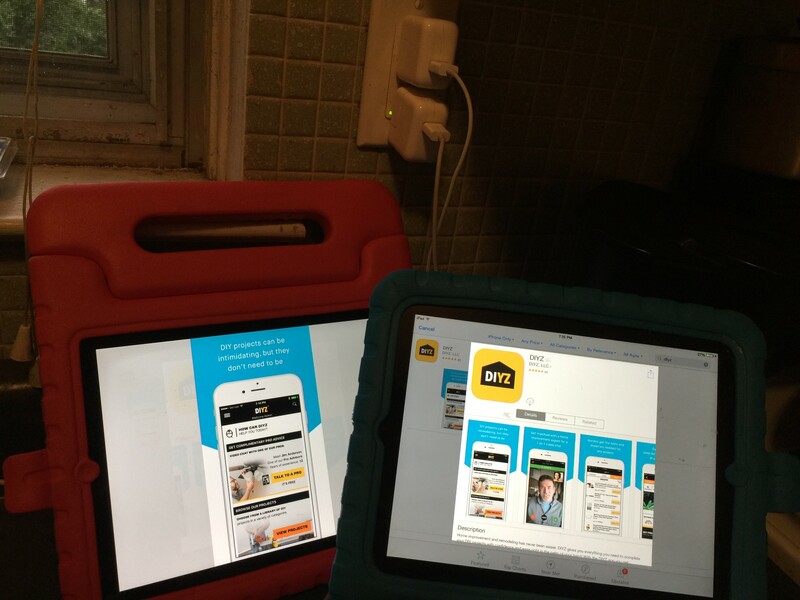 It was a big hit in our home and I am finally out of the dog house when it comes to charging the kids’ tablets! Be sure to follow DIYZ on these social channels and download the app today!